Will Your Tiny House Withstand Hurricane Force Winds? 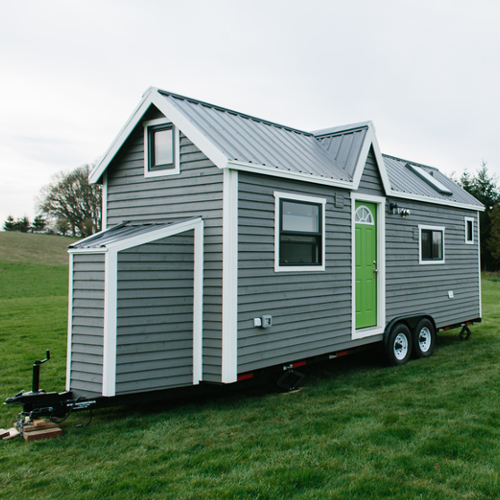 How Will HUD’s Proposed Regulation Changes Affect The Tiny House Movement? The Turtle Tiny House plan from Humble Homes was designed with the older generation in mind. 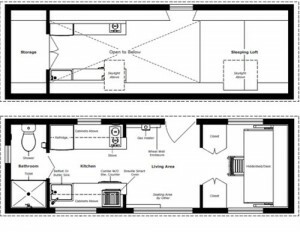 The layout provides for a study/sleeping area on the main floor and a fairly large kitchen area. The loft provides extra sleeping area for guests – or the kids when they visit. On the Humble Homes website you can view images of this unit (with owner modifications), and I have to say, this is a very nicely finished unit, it is bright and the design is fresh and open feeling – Awesome! The Turtle Tiny House is a large unit and I am not sure if I would want to be moving this unit on regular basis. However, if you plan to stay put for long periods of time you can’t beat the extra space a 24′ unit provides. As you can see in the video below, The Turtle has a beautiful kitchen and this unit even has a sink and cabinet in the bathroom (a modification not shown on the plans). The study/bedroom offers lots of storage and can be converted to space for other use if you decided to use the loft as your bedroom. 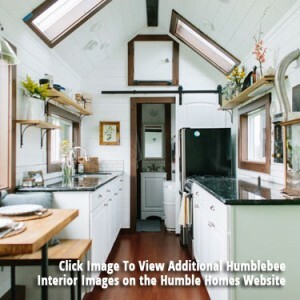 You can view many more images of the interior for the Turtle plan on their website – just click the image to view the complete slideshow for this tiny house. These images are slightly different than the plans due to owner modifications. In the video below, you can see the plan offers lots of ways to use the space. Note that the space above the kitchen is open and could be covered if storage space was a priority. However, the Turtle offers plenty of storage with an extra loft and keeps the tiny house feeling much larger than it actually is! The Turtle Tiny House plan offers a very open feeling and a sense of spaciousness. You could easily take out the study/bedroom area on the main floor if you wanted a large living room area and design it to suit your personal needs and design. This part of the house could include a small eating area and sitting space. The kitchen is awesome for a tiny home and is well suited to anyone who loves to cook. It has enough space for a compact fridge and freezer and lots of counter space for food prep etc. This plan is ideally suited to a permanent foundation as well, and with some good planning could be modified to suit the needs of anyone looking to enjoy the Tiny House Lifestyle! At 24′, this is a big unit and will require a trailer able to handle the weight. Depending on the materials you use, I would estimate the completed dry weight to be between 10,000 to 12,000 lbs. This means you will need a large truck (1 ton recommended) and a heavy duty towing package. 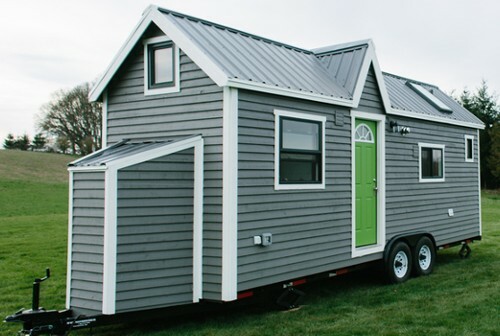 These trucks are expensive to purchase and operate so it should be a consideration when purchasing a large tiny house or plans. Other than the size, there is little that I can find wrong with The Turtle Tiny House plan – it offers a nice layout and design. 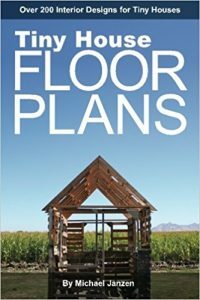 Overall this is a nice plan and well thought out with a open feel that many plans do not have. 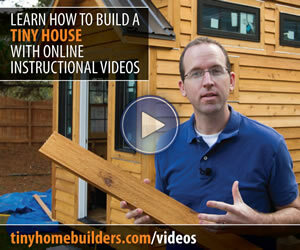 It would be reasonably easy to build for an experienced DIY’er. It is a large unit and you should be prepared to buy a heavy duty trailer and truck to haul it (unless you already have one or both of these). Plans are reasonably priced. For more information and pictures of this tiny house, or to purchase the plans, please visit the Turtle Tiny House Plan page on the Humble Homes website.